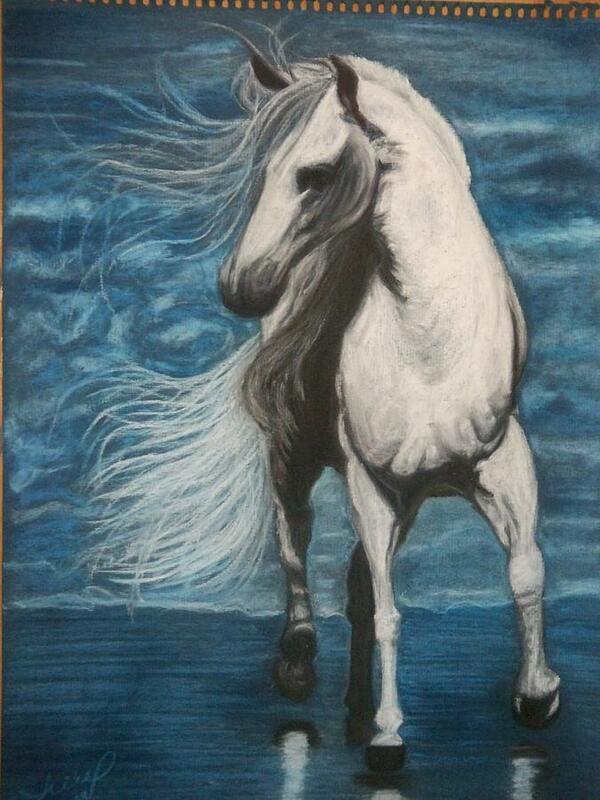 White Spirit is a pastel by Angela BZ which was uploaded on January 12th, 2010. This is in honor to a horse that I had when I was a child. I used soft pastels and for some details pastel pencils, no previous drawing at all, just applied the color. I hope you enjoy it!! Magnificent piece of artwork Angela.